Christmas is a very special time at St. Joseph Institute. We have been busy preparing for Christmas during the 25 days of Advent. 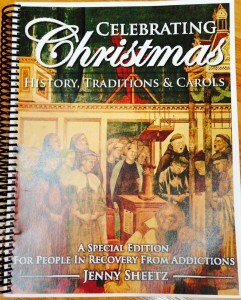 We prepare ourselves spiritually by reviewing the origin and history of Christmas carols. Each morning we set aside a time of prayer and reflection that attunes our hearts and minds to the true message of Christmas by learning to appreciate the carols that have been created for this special season. 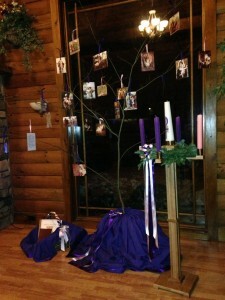 Each evening when we gather to share the experience of our day we participate in an Advent Wreath Lighting Service that includes hanging an ornament on our Jesse Tree. The tradition of the Jesse Tree helps our residents better appreciate God’s plan of salvation by coming to know individual characters from the Old Testament. This collection of 25 characters and symbols, when read in a sequence, tells the story of the coming of Jesus as the Messiah. It demonstrates how the prophecies of the Old Testament are fulfilled in the New Testament. These special Advent traditions help us prepare spiritually for Christmas. We also enjoy preparing our beautiful 62-acre campus by decorating for Christmas. Outdoors we hang wreaths and decorate bushes and trees with lights. Indoors we put up evergreen trees in the buildings and decorate them with lights and natural ornaments. Bald Eagle Hospitality House is our primary gather space. It has a 14 foot tree that reaches up toward the cathedral ceiling. 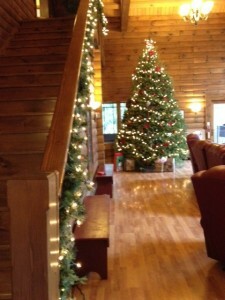 Our stair rail is decorated with greenery and lights. We re-create an old fashioned Christmas by hanging a lighted wreath over our huge stone fireplace, and of course, “our stockings are hung by the chimney with care.” Many of our residents love our model train set. Watching the engine blow smoke and listening to the distinctive sound of the train whistle re-ignites treasured childhood memories of Christmas. And of course, how could we truly experience the Christmas spirit unless our dogs share in the fun!